Bebaroque has designed a capsule collection of hosiery and body suits for iconic British fashion label PPQ. Launching for Spring/Summer 2012 this design partnership sees a united meeting of minds, after both brands enjoying the same rapid rise to fame in their own fields. The capsule collection will first be seen at PPQ’s show on the opening day of London Fashion Week. The collaboration was borne out of both brand’s love of and expert use of prints and Bebaroque cites that inspiration has been found in vintage imagery, PPQ branded lettering and the Bebaroque Priscilla print. All have been carefully blended to create a colour popping, unique range blending directional colour ways with subtle hints of animal prints and embellishment. With Bebaroque’s instantly recognisable prints and PPQ’s continuing love of bold patterns and elaborate fabrics, the capsule collection includes a body and legging decorated with an all over repeat digital print combining leopard print, PPQ brand letters, rope and tassels. A fully embroidered and embellished body will incorporate Bebaroque’s best selling Priscilla print blended with PPQ’s rose imagery. The capsule collection will also include a range of socks and tights which will feature screen prints, prints with heat fix and embellished socks, as well as printed silk scarves. Bebaroque, who recently won the Scottish Accessory Designer of the Year accolade at the Scottish Fashion Awards, is delighted to be able to work with the British fashion label who has continued to grow and gain worldwide acclaim since its origins as ‘fashion’s best-kept secret’ after its initial launch in 1992. Jane Shilton have stylishly succeeded in combining both immense class and remarkable comfort. May I introduce the A-S Baxter Mens Boot. A beautifully designed brogue-meets-chelsea boot. Cut from the finest quality polished calf leather, featuring Argentine leather soles and a comfort ensured lining. The rich tanned leather is craftily complemented via slim cut, coffee laces and six scrubbed bronze eyelets. 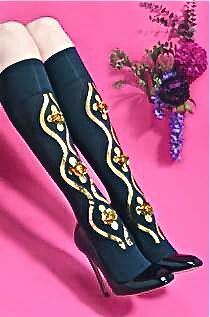 The height of these boots sits comfortably and looks chic under a classic trouser, formal or casual. Whether it’s Sunday lunch or a busy day at meetings, brogues are an essential wardrobe staple for any style-conscious dandy. 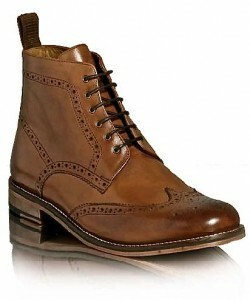 The importance of the brogue boot stems from it’s ability to suit office wear as well as a more dressed down fashion. I recall reading an article a while ago that rightly claimed the brogue to be ‘the gentleman’s trainer’. Easy to wear, yet immensely aesthetically trim. No matter what the catwalks pronounce in-vogue, the brogue boot is always in fashion. These are a must for this Autumn/ Winter as they combine classic boot making with a high level of modish detailing. Invest today and let these boots see you though the season in style. 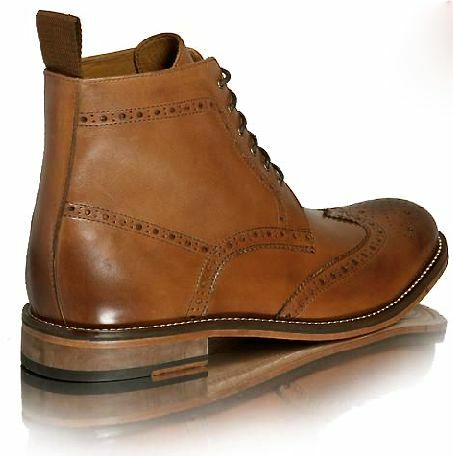 Please see www.janeshilton.co.uk/baxter-mens-boot for more information.